Sri Uchinatheswarar Temple is located in Chidambaram, TamilNadu. This Hindu Temple is dedicated Lord Shiva and is one among 275 Shiva Sthalams. This temple is praised in the Thevaram hymns of Saint Tirunanasambandar. 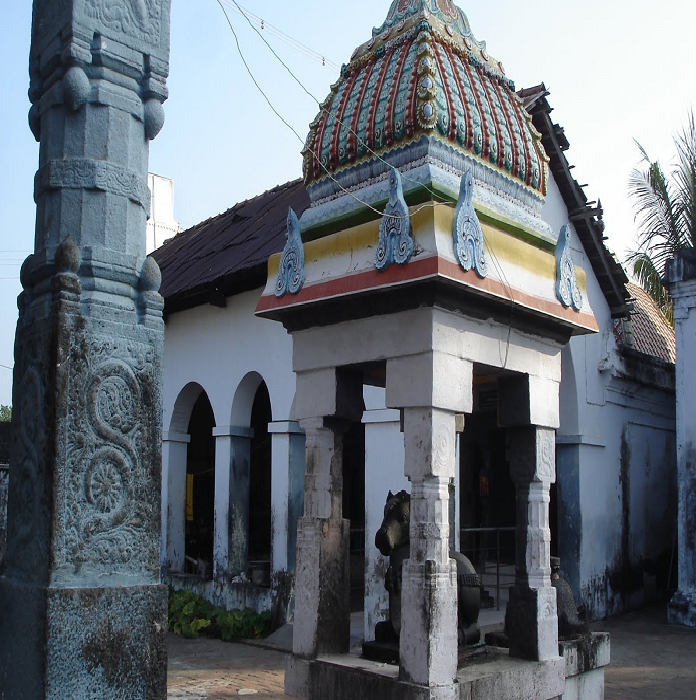 This is the 3rd Shiva temple on the northern bank of Cauvery praised in Thevaram hymns.The temple has one prakara. The Rajagopuram is facing east. Lord is facing east and Ambigai is facing south. This is one of the sacred places where Lord Shiva granted darshan to Sage Agasthya. Lord Shiva and Mother Parvathi appear in their wedding posture behind the Shivalinga. During his stay in Chidambaram, Sambandar used to come to this temple everyday to worship the Lord. The places around Chidambaram were once green with paddy fields, hence the name of the place Tirunelvoyil, presently called Sivapuri. After Mother Parvathi fed Gnanasambandar with Wisdom Milk (Gnanappal in Tamil), Lord Shiva too offered food to the saint. 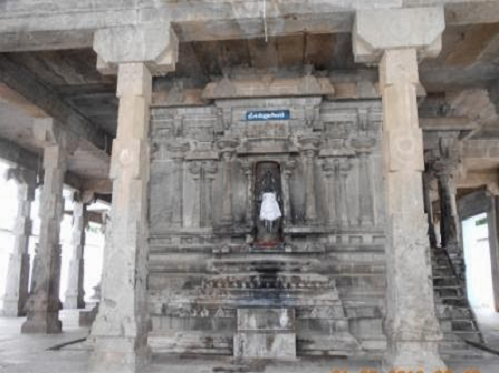 This Shivastalam is located at Sivapuri - 2 km away from Chidambaram in the vicinity of Tiruvetkalam near Annamalai University. By the side of Annamalai University, reach the main road via Kavarapattu road, go via Perampattu road to reach the temple. Town bus available from Chidambaram bus stand to Sivapuri. 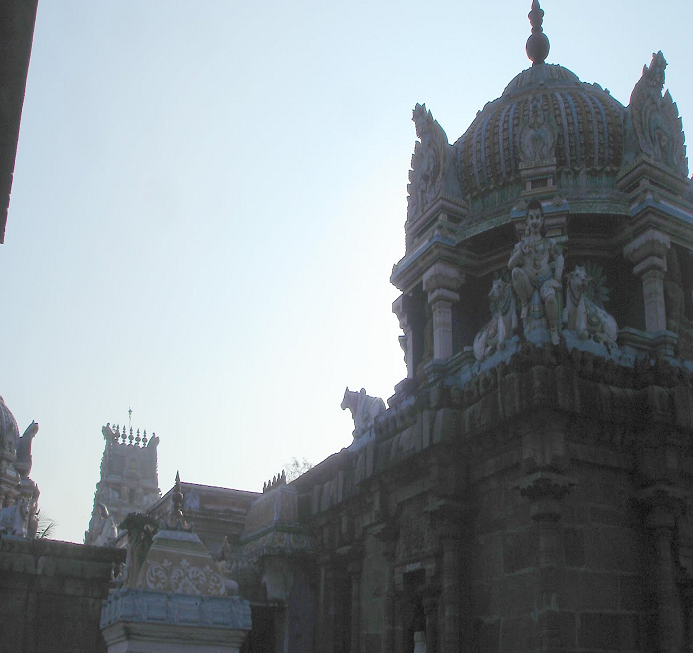 This east facing temple has a five tiered rajagopuram crowning its entrance. Facing the temple is the temple tank. In the outer circumambulatory path are shrines to Ganesha and Murugan, Bhairavar. The Ambal shrine within the temple faces south. There is a shrine housing images of Nataraja and Sivakami. There are inscriptions from the Nayak period here. Five worship services are carried out each day and the annual festival is celebrated on Vaikashi Vishakam as in Tiruvetkalam.